AJ13. 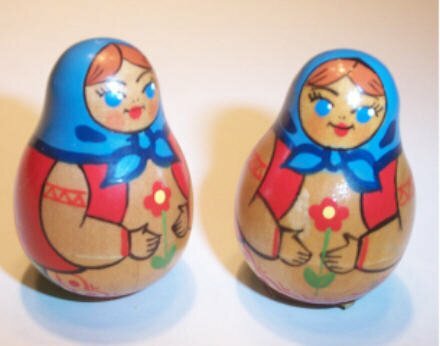 Brest Roly Poly Maidens (pair) 2.5"
These small Roly Poly dolls were purchased in the 1980’s and have USSR labels on the bottom. They appear to be from the Brest region (now Belarus).